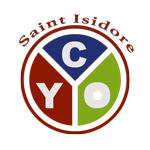 Please join your fellow youth of St. Isidore Parish, get exercise and build long term friendships by joining our Cross Country Team. *Participants must be registered families of St Isidore Parish attending P.R.E.P. and/or attending St. Isidore School, and have received their sacraments.